This is the 2nd health-related video I promised you in my post “FREE Tapping Videos and 11th Annual Tapping World Summit“. But this doesn’t have to be so! 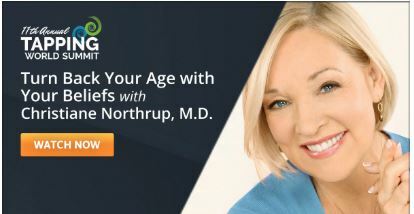 I have a truly eye-opening video to share with you today that blows away our beliefs about what causes our aging. It reveals secrets that have us turning back the clock with just our thoughts! New science is proving just how powerful our mind is in preventing (or causing) illness, developing our brains and learning new skills, and with slowing down (or speeding up!) our aging! 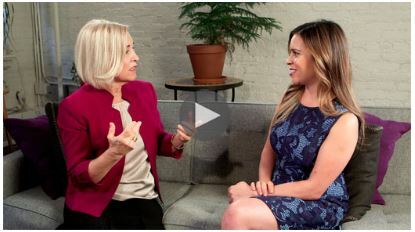 This video, with New York Times best-selling author Dr. Christiane Northrup, is a must watch. Sign up below to watch it. – Why we should never share our age (she has a very good reason for this and it’s not what you think). – How to be an “outlier” that lives a longer and healthier life. – The three commonalities that all centenarians have in common that let them live past 100 with life and vibrancy. – Why we need to guard our mind vigilantly when receiving a “diagnosis” because of the effect it alone has on our health. P.S. – The video is being released in the lead up to the 11th Annual Tapping World Summit, an online event that has been attended by over 2 million people over the last 10 years (Wow!). This event is 100% content and well worth attending. I highly recommend showing up for it since it’s free to attend and learning how to use Tapping can dramatically improve your life.